I have decided I need to get a clear bra. How much should / can I cover and what are my options? 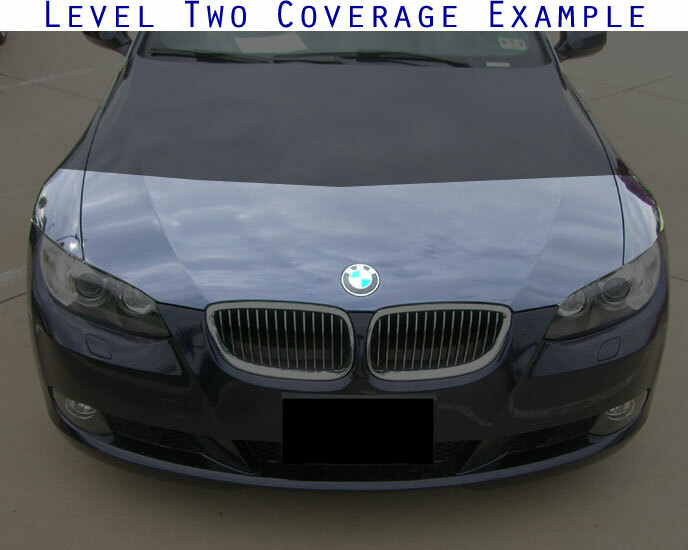 - Most vehicles 2006 or newer have three typical coverage levels; some models have additional options. Use the Contact Us form and get your install quote today! Our standard coverage levels are staged for to protect the most vulnerable area to chipping first. 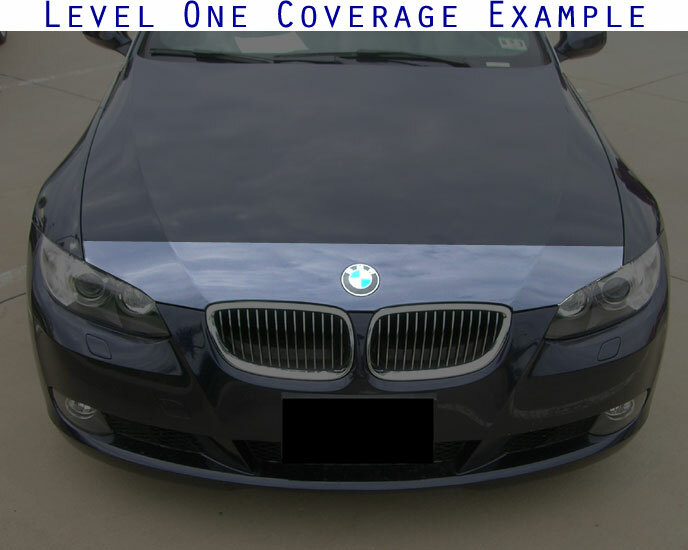 Coverage starts with the leading edge of the hood and goes up from there. 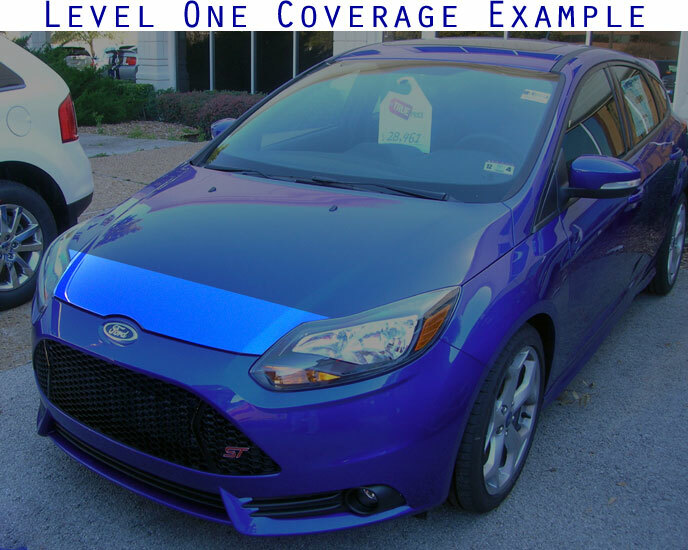 The leading edge of the hood is the most prone to chipping as the hood is typically metal - ridged - and the paint does not include any flex additives that the flexible bumper covers would have. These are made from the same 3M Scotchgard Pro Series Paint Protection as our popular Level Two/Three Protection, only in a scaled down size. Protects the leading portion of your hood from the ravages of the road. Available for most new vehicles. Typically includes ~ 22 inch deep hood coverage, along with matching portions of the front fenders. Most now feature a slightly arced trailing edge to help hide the material. Available for most new vehicles. 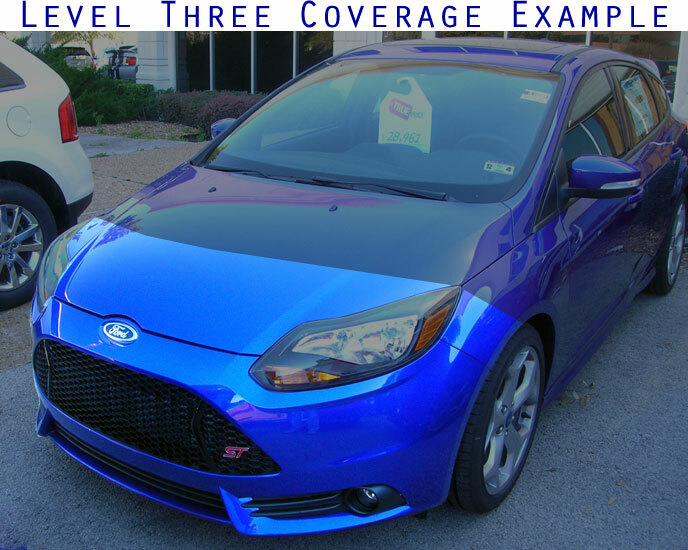 Typically includes ~ 22 inch deep hood coverage, matching portions of the front fenders and the full painted front bumper cover. Available for most new vehicles. Options include trunk load ledge, rocker panels, impact areas in front or behind the rear wheels and more are available for select vehicles. 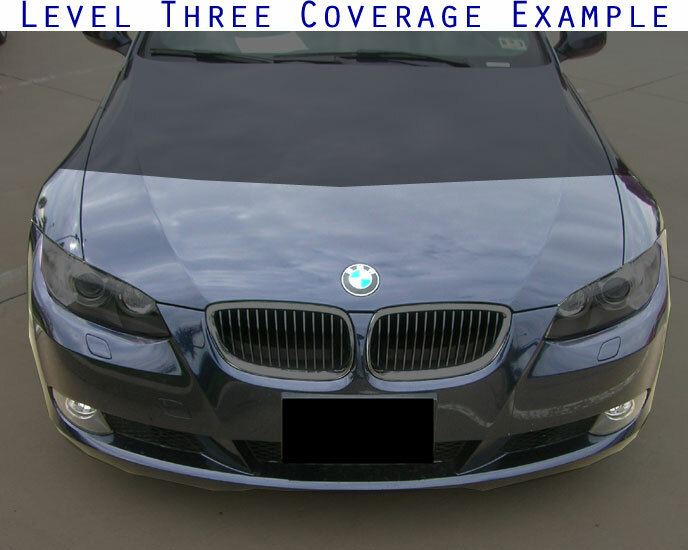 The coverage is available as a stand-alone option or in combination with some of our other coverage options.